Reception Centre and shop: 1st April - 30th Sept; daily; 9.30am - 4.30pm. All tickets outwith garden reception hours and at all times between 1st October and 31st March from the adjacent Loch Melfort Hotel please. and water plants and a large collection of ferns. The gardens were begun in 1898 and developed by three generations of Campbells. 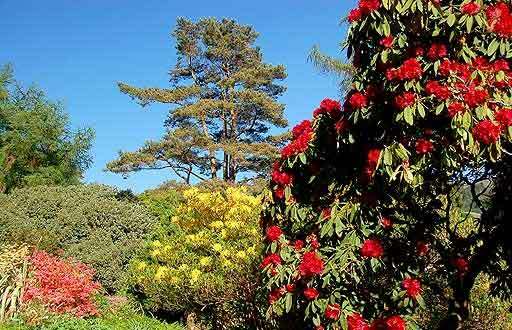 The property was bought in 1971 by the two Wright brothers from Essex, who restored the garden and presented it to the National Trust for Scotland in 1992.